Planning a menu for the week ahead is something that I always make an effort to do. I will tell you that planning a well-thought menu is not easy and it requires a lot of time and consideration. It’s easy to say let’s have this, that and another thing, but if you are trying to not break the bank or waste food it really requires skill and mindfulness. I have been a weekly menu planner since before I graduated from college and only recently have I felt that I’ve really started to take hold of some of the strategies worth considering for a thoughtful menu. My menus initially consisted of writing out each week’s menu on a cute menu planning notepad that I loved. Eventually I realized that it was taking me a really long time to choose meals – I was going through my Pinterest page every week in addition to my own personal recipe book and then a few cookbooks and lists I had made. It was taking me about an hour or more each week just to create the menu, and still, I found I was wasting food, spending too much money on groceries and wasn’t making the right choices about using similar ingredients for multiple meals. A few weeks ago I decided to utilize a new way of planning my weekly menus. I made a new menu board for my fridge as a way to help me plan my meals and save time with that task. My new menu board is color-coded based on the cuisine – I have one color for slow cooker meals, another for ethnic meals, light meals, meat-centered entrees and then I added “leftovers” and “out to eat” and “traveling” to account for reality. To create the meal planning board I found some cute clothespins and glued a small magnet to the back. 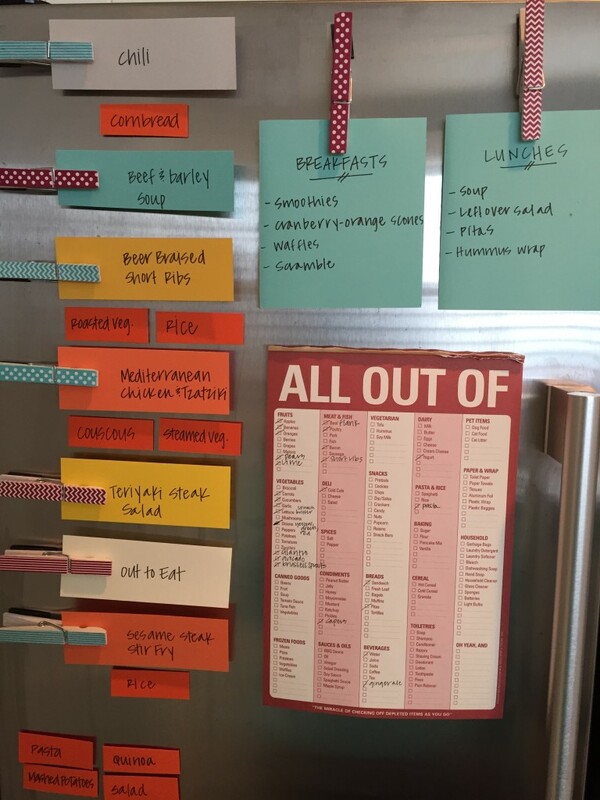 Each clothespin on the fridge holds the meal ideas for each day of the week. 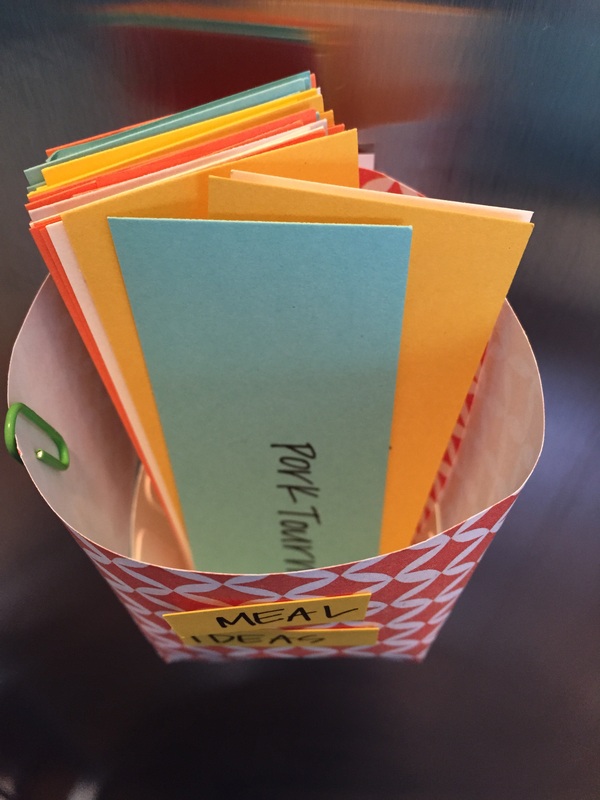 I used a variety of bright, colorful paper that I cut into strips (about 1″ by 4″) and then wrote down the name of a meal idea on one side, then listed the ingredients that I may need to purchase in order to make said meal on the reverse side of the paper. 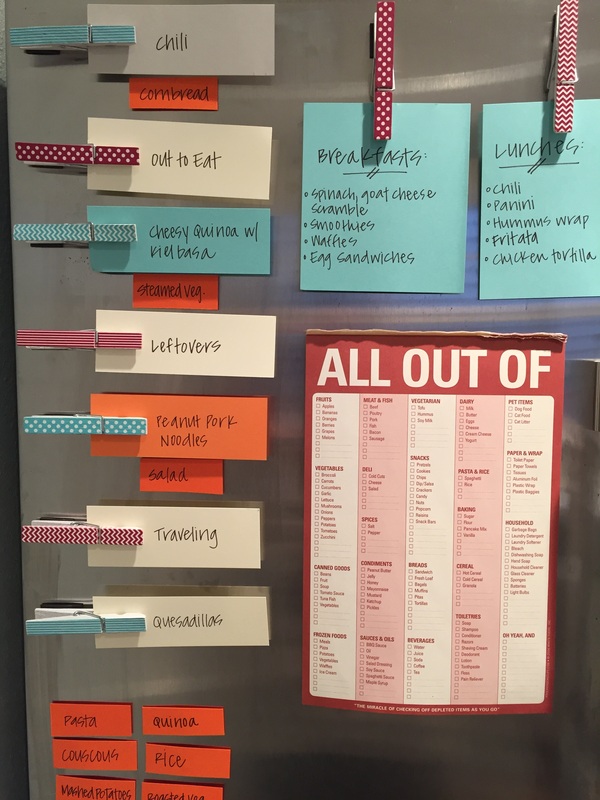 Seperately I cut smaller strips of paper and wrote ideas of sides, like quinoa or roasted vegetables, and then adhered a magnet to the back so that I can easily plan for both the main entree and sides to go along with the dishes. 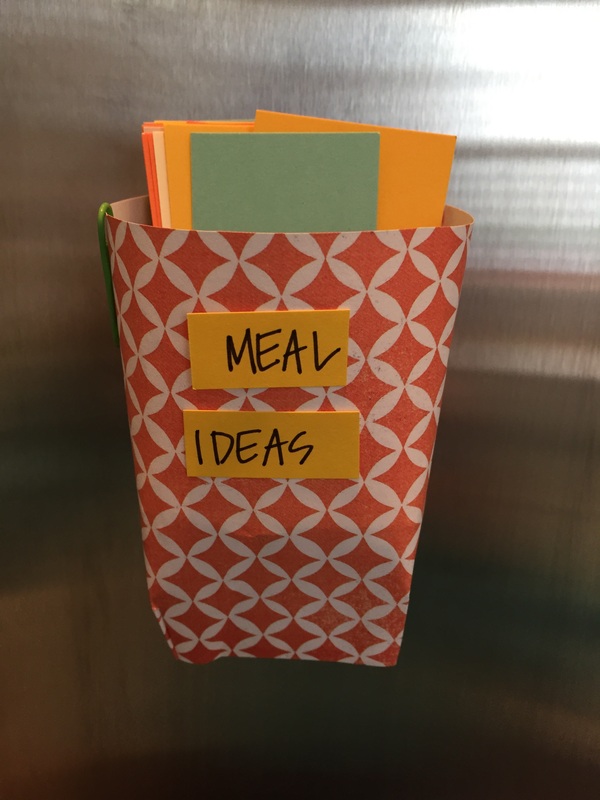 I don’t always use as much variety with breakfast and lunch, so I just have a little note off to the side with ideas for those meals. So far this has been a HUGE timesaver for me! It was definitely a time commitment to create the meal planning board, but each week it has taken me about 5 minutes to decide on the meals to add to my menu and then another 5 minutes to write out a grocery list. I think it looks adorable and it’s really easy to use. I have been spending less money on groceries and have been feeling like I’ve been a lot more mindful about picking meals with similar ingredients. 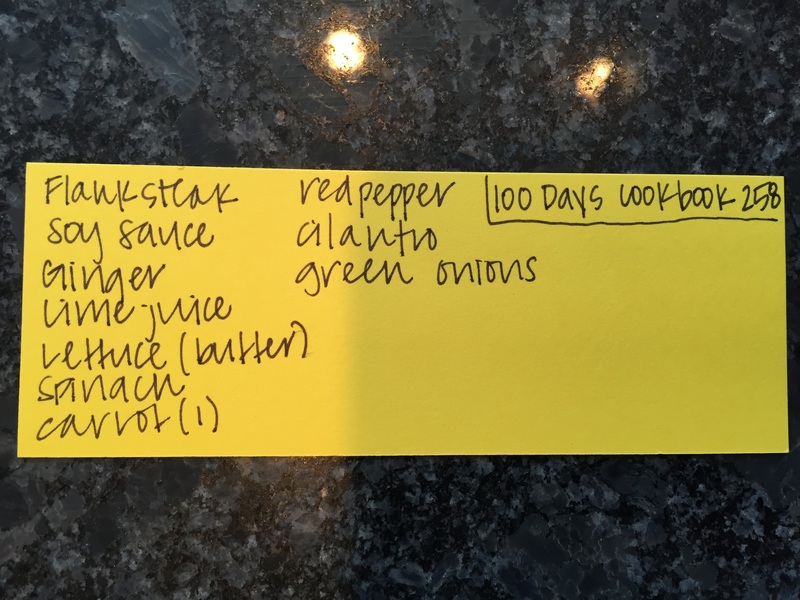 This entry was posted in Food and tagged meal planning, organization on February 1, 2015 by Alison Allen.